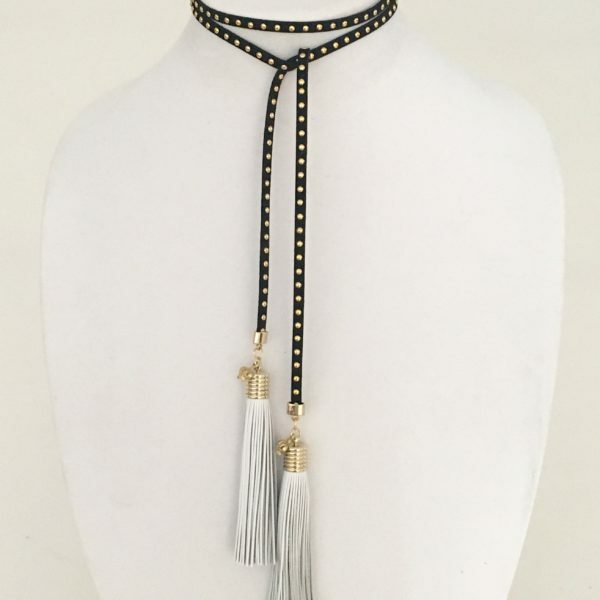 The Suede Wrap Choker in Black and Gold. 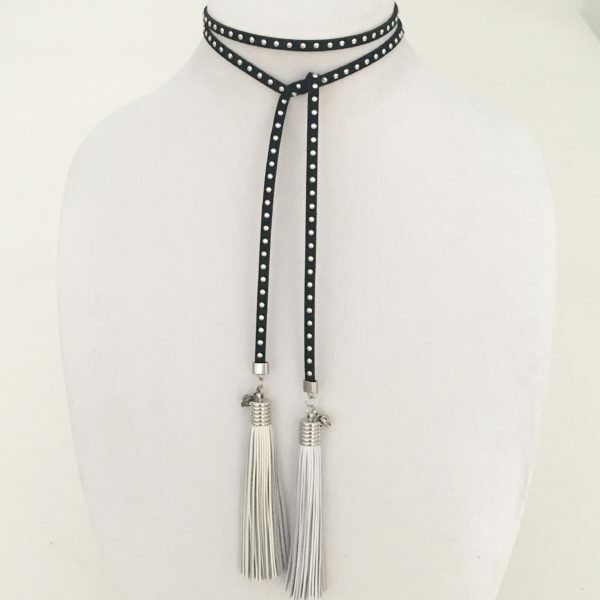 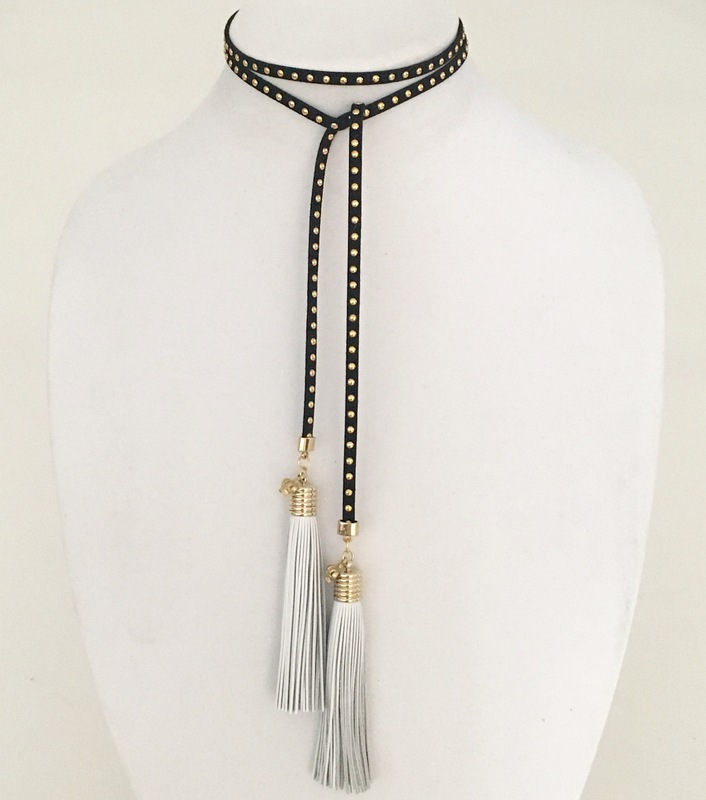 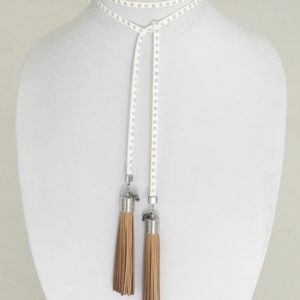 Featuring rich leather tassels and Suede wrap cord with studs. 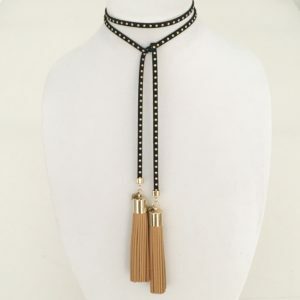 In a 36' length for endless combinations. 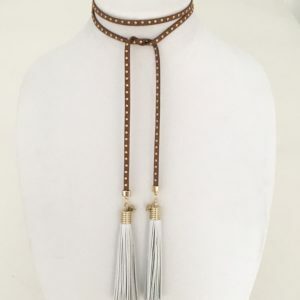 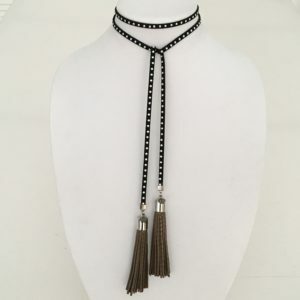 Can be worn wrapped around your neck, as a bracelet, a belt or simply as a lariat.